FHA Loan vs. Conventional Loan- Let Us Help You Decide! In terms of monthly payments, some conventional loans seem very similar to FHA loans, variables such as qualification requirements, mortgage insurance, down payment, or closing costs can make a big difference when choosing between the two types of loans. In recent years, because of low down payments and credit score requirements, Federal Housing Administration (FHA) loans have increased in popularity. Which option is right for you depends entirely on your particular financial situation. 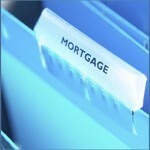 Both FHA and conventional loans have their advantages and drawbacks. Easier to qualify for a loan. As opposed to a conventional loan, requirements for an FHA loan are not as strict. People with low incomes and low credit scores have a much better chance of qualifying for an FHA loan. You can qualify for an FHA loan even if your credit score is as low as 500. Lower down payment. FHA mortgage loans are very appealing to borrowers because the minimum down payment is only 3.5 percent. With down payments for conventional mortgage loans usually in the 10 to 20 percent range, an FHA loan becomes a great choice if you don’t have a lot of savings to make a bigger down payment. Lower interest rate. Because the loan is backed by the government through the Federal Housing Administration, you could qualify for a lower interest rate than you would on a conventional loan. This could save you thousands of dollars over time. Mortgage insurance. If you choose an FHA loan, you will have to pay a minimum of 1.5 percent upfront mortgage insurance premium and a 0.5 percent monthly insurance. The mortgage insurance must be paid for a minimum of 5 years, and that will increase the overall cost of the loan. Lower credit scores mean higher down payment. The minimum down payment amount may be as low as 3.5 percent, but only someone with a minimum credit score of 580 can qualify for that low amount. If you have a credit score between the minimum allowed for 500 and 579, you will have to make a 10 percent down payment. Longer to process. Because the Federal Housing Administration mortgage loan is insured by the government, processing the loan will most likely take longer than with a conventional loan. Better terms for people with good credit scores. A credit score minimum of 620 is required by the National Association of Mortgage Brokers in order to qualify for a mortgage loan. If your credit score is higher than 760, you will qualify for the best rates available, meaning that you will save a lot of money compared to someone with a less than perfect score. No upfront mortgage insurance premium. Unlike with an F HA loan, you won’t have to pay a mortgage insurance premium, which can be as high as 2.25 percent of the total loan amount. More flexible terms. With a conventional mortgage loan, you will have more repayment period term options than with an FHA loan. This can also help you save money, as interest rates will be lower if you choose a faster term, such as a 10 or 15 year repayment period. Harder to qualify. Unless you have a really high or perfect score, the lender will either give you high interest rates and fees, which will increase the cost of the loan, or will even deny your loan application. Higher down payment. The minimum down payment amount for a conventional mortgage loan may be as low as 5 percent with some lenders, but only if strict requirements are met. Typically, the down payment for a conventional loan is between 10 and 20 percent. Private mortgage insurance. Borrowers who made a down payment of less than 20 percent of the total loan amount will be required to pay private mortgage ,insurance which will protect lenders in case of a default. The conclusion is this: if you are looking for a mortgage loan that requires a low down payment and your credit score is less than good, then you should choose an FHA mortgage loan. If your credit score is perfect or close to perfect and you can afford a larger down payment, the best choice for you is a conventional loan. Before deciding what type of loan to choose, you should always educate yourself and never be afraid to shop around until you find the best type of program that suits you.